Here’s a video clip of Felix playing with (and scratching) my hand while on my office chair. He was just a little kitten then and he didn’t know how to guard his claws yet. My hands were perennially scratched as he grew up but we adored him just the same. By the way, if you love my kitty posts, I’ve started a new blog called Medieval Cats, to which you’re invited to subscribe. It’s 100% about cats, featuring our cats alongside other medieval cats (or cats from medieval cities, if you prefer). 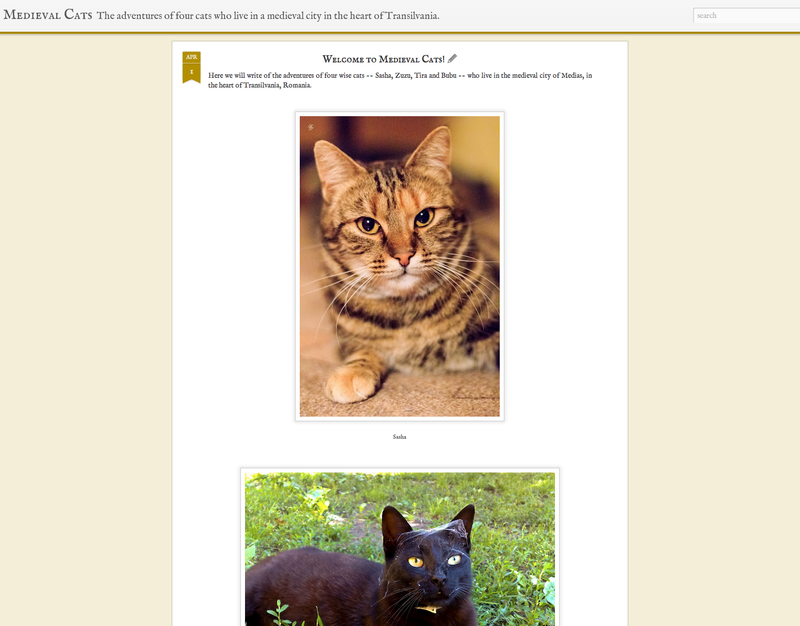 We currently have four cats: Sasha, Bubu, Tira and Zuzu (three females, one male). They’re all adorable, all photogenic and they love to go on their little adventures.